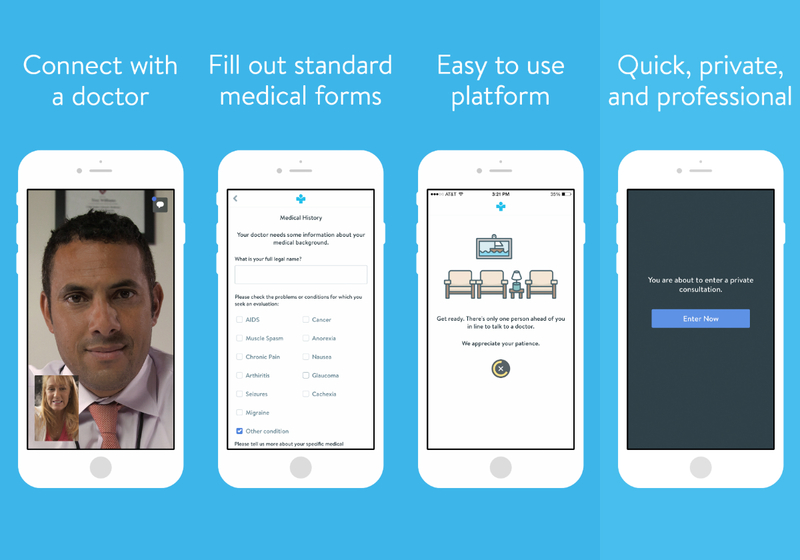 It's like Skype, but for medical marijuana prescriptions. San Francisco-based cannabis delivery service Eaze announced Monday that it is launching EazeMD, a mobile video conferencing service designed to directly connect medical marijuana patients and prescribing doctors. The app, available on both iOS and Android, works just like physically visiting a clinic. Users fill out the same standard forms required by the state of California, queue up to speak to the doctor, and then discuss their maladies and potential treatment options with a licensed physician. The service is active 11am to 7pm, 7 days a week. Consultations costs $30 (after a $10 mailed rebate), which is significantly less expensive than what the clinics (around San Francisco, at least) charge. Plus, once the patient is approved, they can immediately order product from the Eaze website for delivery. However, unlike going to a clinic in real life, consulting with a doctor on EazeMD is pants-optional. The entire medical marijuana certification process from doctor's visit to consumption has been compressed into an app. This is insane. You can legally buy weed over the internet (not the Dark Web, the regular internet), have it brought to you while getting permission live from a remote doctor to do it -- all from your phone in a matter of minutes. Tell me we are not living in the future. Eaze is not the only company to offer these sorts of video conferencing services. Meadow offers its own online consults, though that capability is limited to the company's website -- not app -- and costs $100 per visit. The EazeMD app is currently only available to valid medical cannabis patients in California but the company states that it can easily be expanded to other regions as laws change.